We're developing an all-new page to promote Enyo 2 applications, so let us know what you're working on. Either post on this thread or email me directly and let me know the relevant information about your application on any platform - or even better, on multiple platforms! The page is not live yet, but be sure to reach out so we can include your apps when we launch. As always, if you're currently working on an application, do not hesitate to reach out for any technical help when needed! Thanks! We'll be sure to feature it when the new page goes live. Just published to google play! Finally! That looks really nice, Chris. I especially like your custom theme. We'll definitely feature it, and in the meantime, hopefully we can give a shoutout to it in the blog before we get the new webpage going. Thanks for keeping us posted - it can be very difficult to track what's Enyo 2 in all the stores, especially when they have unique looks. How do you define "application"? My app isn't in any software marketplace yet but is accessible as a webapp, it's called TimeAware and is a slightly unique alarm clock that can be found at http://www.timeaware.net/ , tested on a Nexus 7 (Android), Linux, Windows and Mac OS X.
I've been playing around, as part of my blog I wanted to see what it takes to get Enyo to work on different platforms. TopWatch is a pretty rough stop watch app. Blog here. Note: The focus of the blog post is to explore how to build a supportable codebase for different platforms, not trying to show how to build an Enyo app. In the Chrome Store here. On Android via PhoneGap build here. Note: PhoneGap Build still makes webOS think it's a 1.4.x app, so launches int he emulator and down't work. Still need to figure out if/how to try and install it onto Windows Phone via PhoneGap Build. And finally available in the browser as a hosted web page here. "A simple timing app that allows you to record "laps" and keep the timer going. Each lap will display the start time, end time, and how much time has passed. Hit the stop button to end the session. You will then be able to view the results and email them to yourself or someone else. Very easy to use, just click the giant green start button, and then at the end of each lap, hit the giant blue button to record. And when your all finished, click the red stop button to end the session." Also will be available on BlackBerry 10 when it releases. Free version of blogWalker now available for Android. LoveVoucher App for Android and WebOS. Written using Enyo 2.x and PhoneGap now available in the App Catalogs. Blackberry 10 and Windows Phone 8 versions planned. Another quick little app i made for me and my girlfriend to keep info about our pets. "Keep all information about your pets in 1 place. Add as many pets as you have. You can store birthdates, weights, vet information, medical information, plus any other notes you want. Then all you need to do is select your pets name and all its information will be shown. Keep next vet appointments and what shots your animals have had all in 1 place. Pet info will also display your pets current age if you provided a birthday." Should work in most all recent browsers, I know IE has a couple quirks, but it works best in chrome. Submitted it for BB10 as well. Would have put it out on android, but android has issues when you have lots of images you are loading. 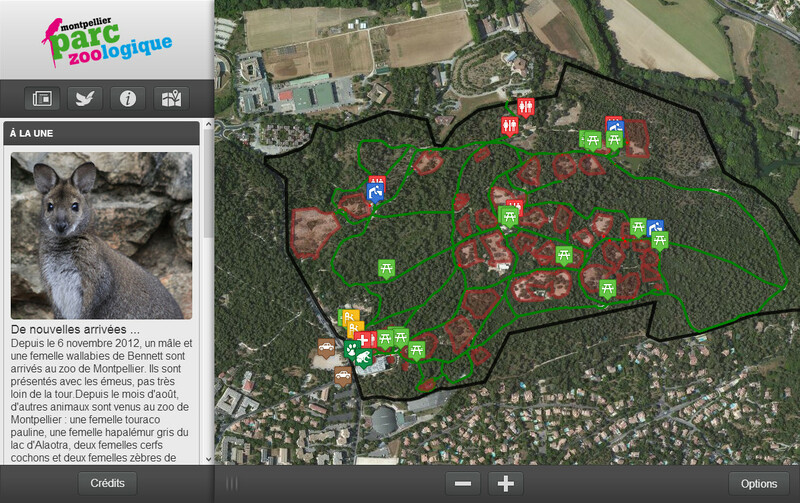 ooZoo is a french app about Zoo of Montpellier. It uses Enyo2 and LeafletJS. Thanks for all the feedback, and keep it coming. Because Enyo does such a good job providing a "native" experience, it's not always easy for us to know what applications are being submitted to the app stores, so thanks for the heads up. The showcase page is still under construction, but our goal is to update it regularly. Hi i am looking for an enyo developer to do up a small app. looking for long term partnership. it tracks news with given keywords. It's largely for myself: i've been tired of refreshing google news to track latest Edward Snowden story. Hey, it would be nice if Firefox OS was one of the listed platforms in the App Registry. Chrome OS would make sense, too. I'll suggest those to the devrel team, Doug. @reeder29: Great suggestion, Doug; I've gone ahead and put Firefox OS and Chrome OS as options for new app submissions going forward and I've changed your "Other" URL to be displayed as "Firefox OS"
If anybody else needs a URL from their already-submitted app added, removed, or changed, just let me know and I'll be happy to update it. The Other entries for SpeakerClock, PwdHash and Picross appear to be for Firefox OS. The Other entry for Newt appears to be for Chrome OS. Just worked out a webapp to make your google form payable, uploadable, and themeable. We (ZigZag, Inc.) recently released our Hebrew in Hand web app. Hebrew in Hand (originally written as a native BlackBerry CLDC app) provides a library of siddur (prayer book) and Biblical texts with easy-to-read, fully pointed Hebrew. When we first looked at porting it to HTML5, Enyo stood out among all the frameworks we considered. The app runs on a wide variety of mobile and desktop browsers and integrates with our back-end server. Photo Filters now available on Android! An awesome set of photo filters that you can apply to photos for Tumblr. You can post up to 10 images per post, with each one having its own filter. There are 23 different filters you can choose from. You can choose pictures from your gallery, or take fresh ones. Then you can supply a caption, add some tags, and choose which blog you want to post it to if you have more then 1 blog. You can have it post now, placed in your queue, make a draft for later editing, or make a private post. Once posted, you can either launch the browser right to the post, or share it through text, email, or any other app that will take a link.